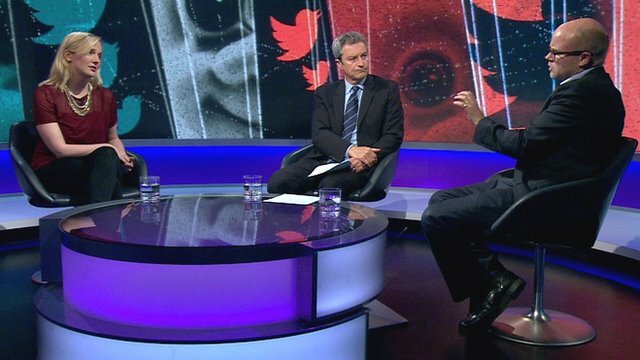 Controversy over Block Bot Twitter application Jump to media player Newsnight's Gavin Esler and Paul Mason discuss The Block Bot, a Twitter application which automatically blocks some Twitter users on a central list, and the complaints Newsnight received from people saying that it had been incorrectly characterised. 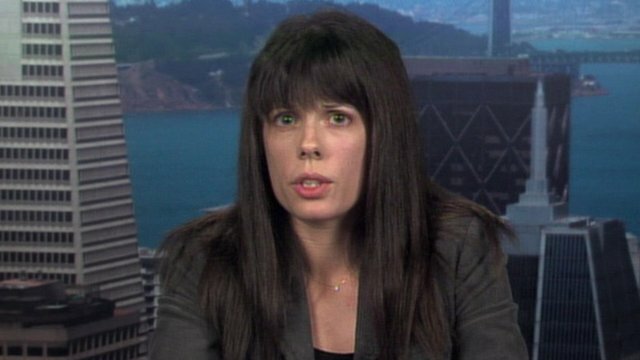 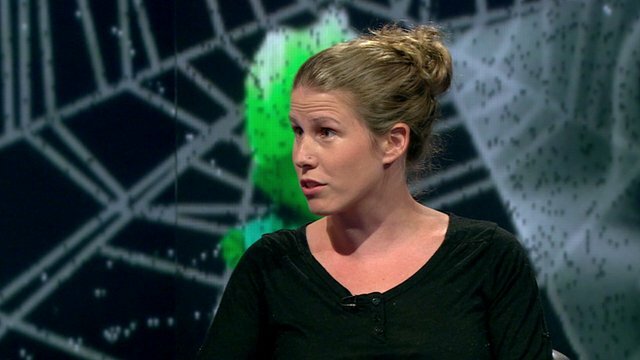 The debate over internet "trolls" - those who use their social media accounts to abuse others - erupted after feminist campaigner Caroline Criado-Perez was bombarded with abuse via Twitter after successfully campaigning to have author Jane Austen depicted on the new £10 note. 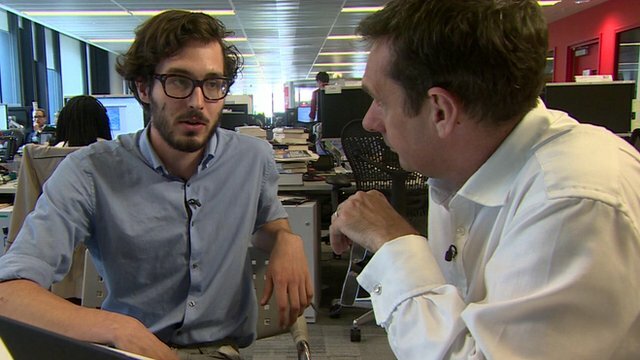 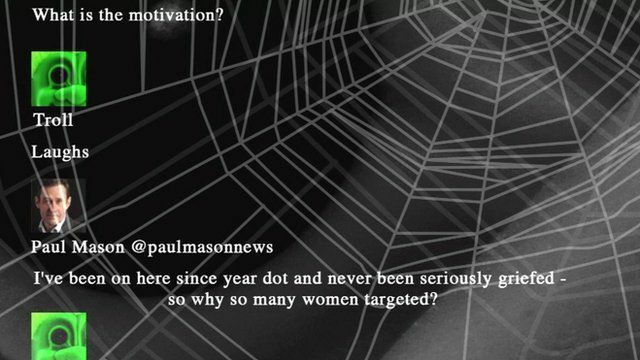 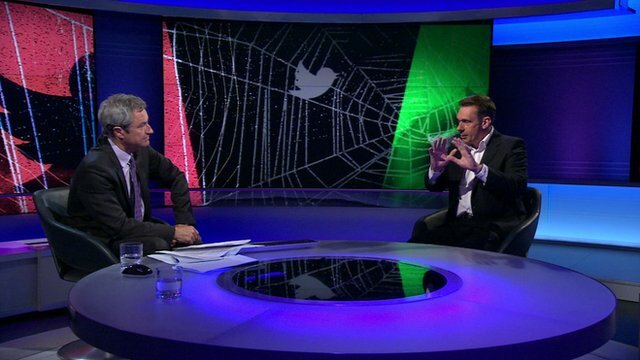 Newsnight's Paul Mason has been talking to the Twitter trolls, to people who have studied them, and to those trying to come up with a technical solution for dealing with them.